A mask portraying a person with a white face and wearing a hat on top of their head. 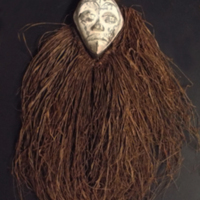 There are plant fibers all around the mask which hang down several inches. Comparable masks come from the Yaka tribe of the D.R. of Congo, used for ritualistic purposes. unknown, . 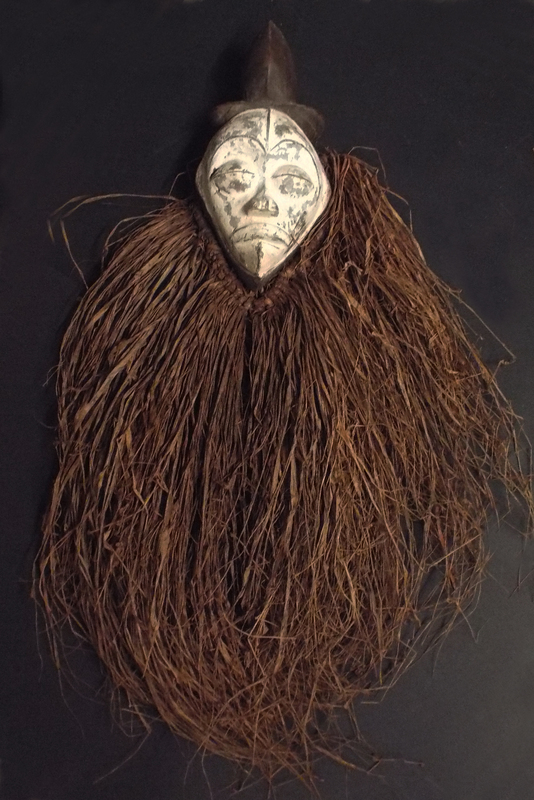 “Yaka Mask.” Truman Warner Anthropological Collection, MS048. WCSU Archives, 6 June 2018. Accessed on the Web: 19 Apr. 2019.